El Watan translates as “The Homeland” in English. This name for this independent newspaper underscores the belief that in representing the opposition the people who began this newspaper believe that they are fighting for the future of their country. El Watan was begun by Omar Belhouchet and nineteen colleagues in 1990 when they left government owned newspaper El Moudjahid (Holy Warrior.) The goal of the newspaper is to promote democratic values and democracy in Algeria, and to give a voice to the Algerian opposition. The newspaper has been a powerful vehicle for speaking out about censorship and corruption. 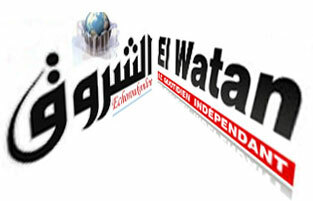 El Watan has been was suspended many times by the government of Algeria. Editors and journalists from the paper have also been jailed more than once for a variety of transgressions. Reporters Without Borders and the Committee to Protect Journalists says that El Watan reporters have been targets of attacks from both the government and Islamist insurgents.